Pink again! If you weren't into pink last year, maybe this is the year? It's a wearable colour that can be toughened up if needed with some denim or black and has become a colour that hardly goes out of fashion. 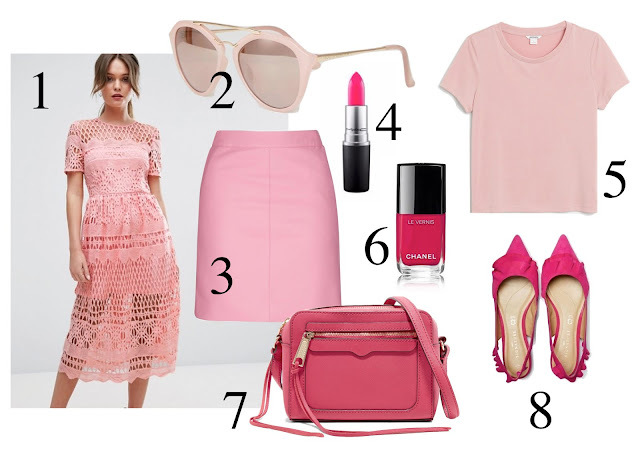 Pink has many shades, with fuschia being THE colour to wear this Spring/Summer. 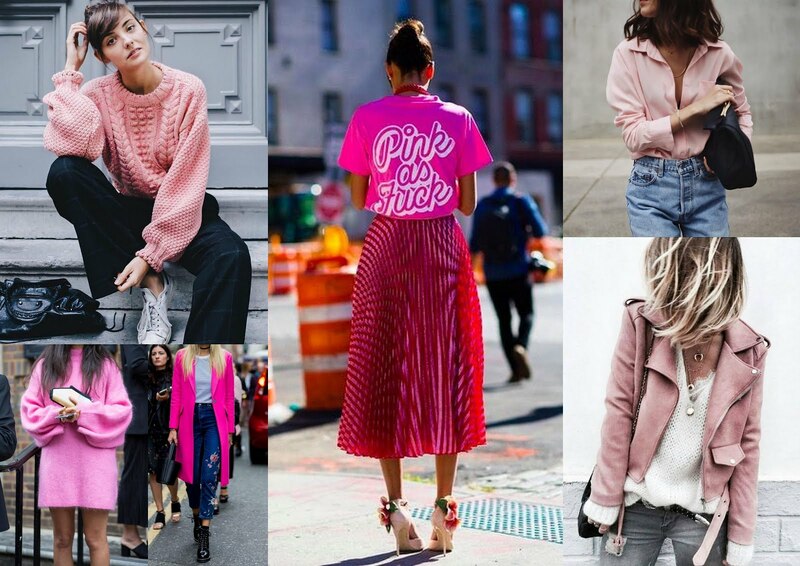 Just look at all the lovely street style images below, this definitely makes me want to shop the colour pink more (images from Pinterest). 1. Boohoo Dress £35 Lovely dress for a wedding or dressed down with trainers for a lunch date. Don't be afraid to wear fuschia, it's a lovely colour that will suit everyone. If you're not as brave, try shoes or accessories. If you're like me and not very girly, pink is probably your last option, but it's the way you wear it. The PU pencil skirt can be worn with band t-shirt or black jumper and a biker jacket on top. Also, the above dress would be lovely for a wedding but can also look nice with trainers and denim jacket for a weekend outfit.